Family tradition to have a personalized ornament from Miles Kimball with the year. This one again: Well made and had our names accurate as always. Charming faces and quality spelling; secure shipping. 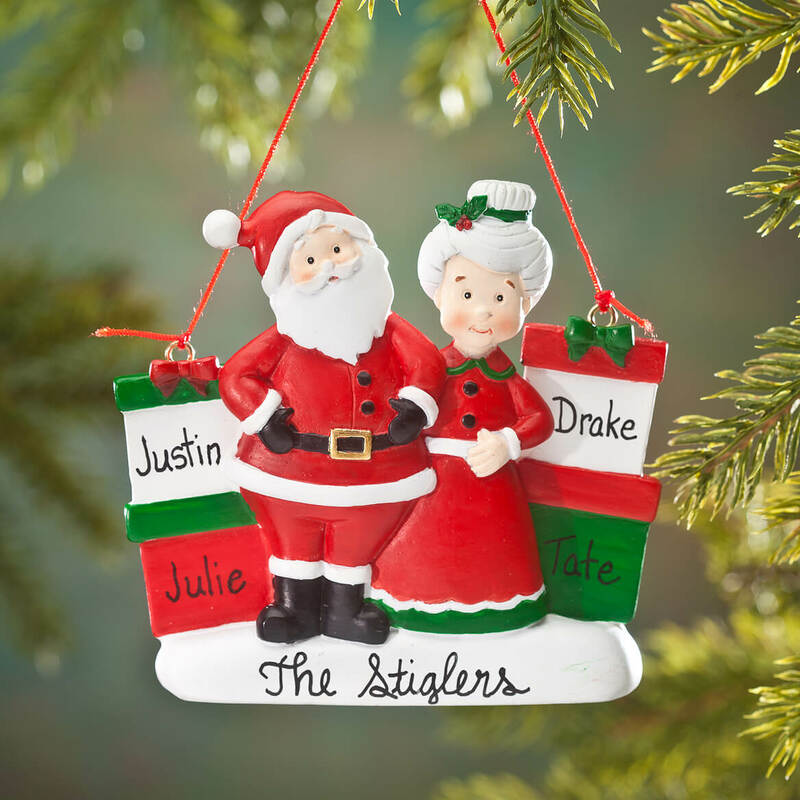 I buy personalized ornaments every year for my grandkids. They are quality ornaments and I appreciate being able to do this for them. Thank you Miles Kimball for you prompt service every year. We always purchase a dated ornament each year, this one is by far the nicest one we have added to our collection, glad it was added to the line up. I bought 7 of these. 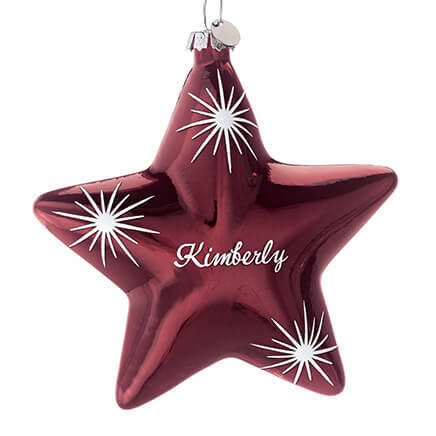 This "Merry and Bright" ornament will add a festive touch to your Christmas tree. I bought two of them, one for my tree and one as a gift. It's personalized - the family's last name, and first names - added for free was perfect. The design is delightful, and the attention to detail is exceptional. This is a great ornament!! It's a good size, not too big, not too small. Well made and the personalization was spot on! Perfect! I ordered this ornament and wanted it to say Tony & Loretta, Tony was spelled Toni, I tried to fix it and thought the ink was dry and smeared it so now I have a black streak on it. Santa and Mrs Claus with presents looked cute, but the black writing on the green and red packages left me wondering what names were printed. Somehow you need to better highlight the names with a tag on the gift or make packages lighter colors so you can see the black. The ornaments were cute but did not come until after Christmas and I was never notified they were not going to make it on time. I probably will not order from Miles Kimball again. I ordered two of these ornaments for Christmas presents. On one of them, the script was done beautifully. On the other one, it was not. I called the company as soon as I received them. They were very apologetic and said that they would e glad to redo it and rush it to me. It is Dec. 28 and I still have not received the new ornament. 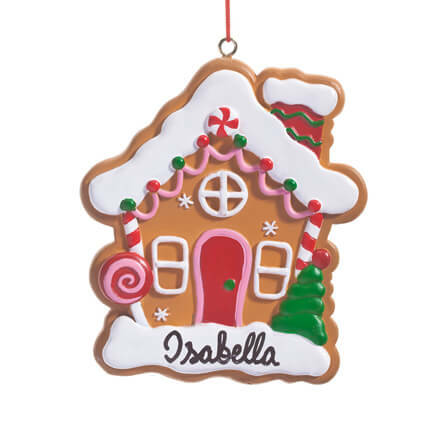 I purchase a personalized Christmas ornament every year, and I love the ones that can include our pets' names and the year. Always good quality and low prices. It was one that offered 7 family members. For my daughter and her husband who love playing Santa for the grandkids. I liked it for my husband and me. Enjoy this Christmas for my sons tree with all his kids name on it.. 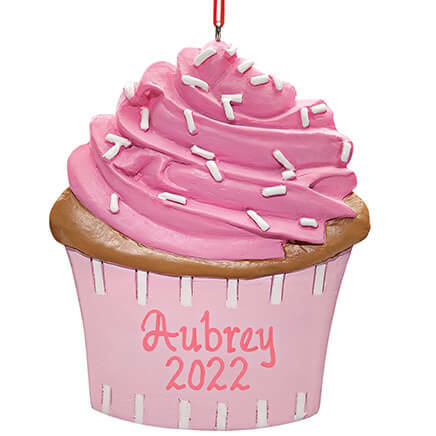 This ornament is really cute but I wish it would have had the year on it. 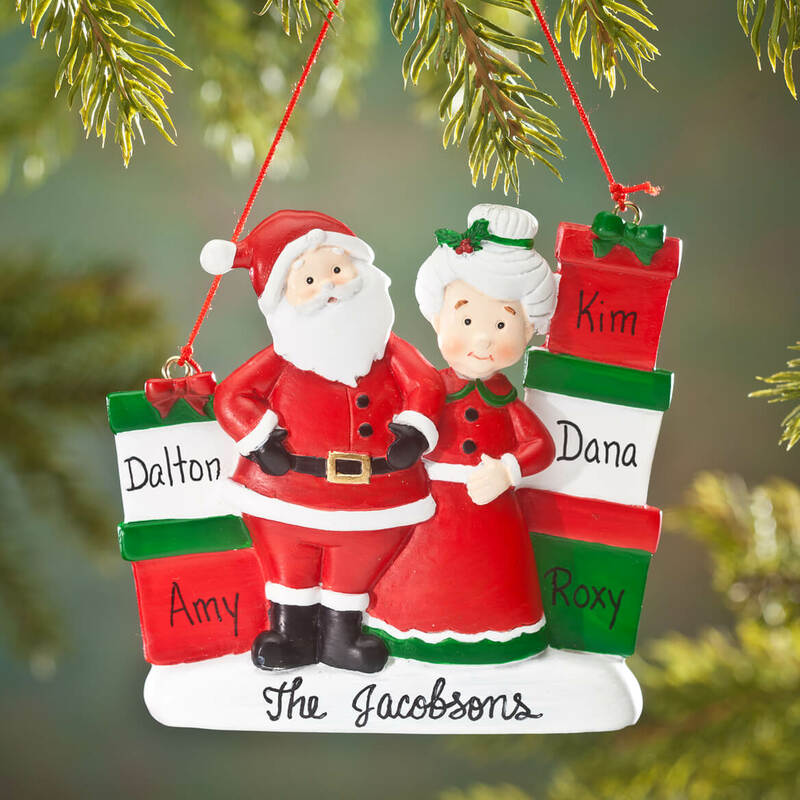 I look for ornaments with enough spaces to personalize. That makes it fun! It's so cute for a couple I know. I think they will like it too. I gave Christmas ornament last year and she was very happy so, why not give another one his year. Because my husband plays Santa to our 3grandkids! 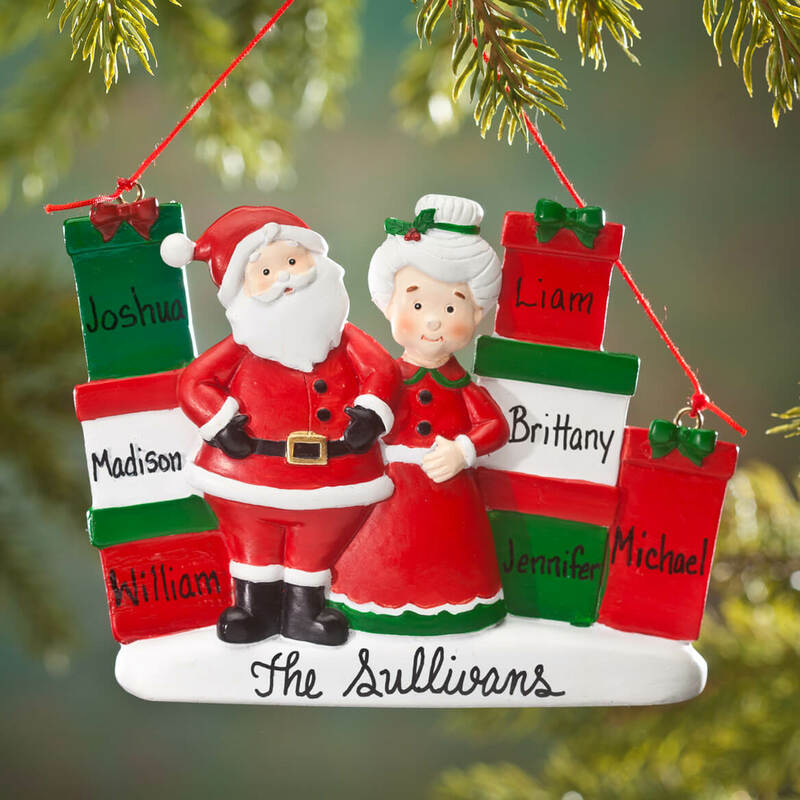 I purchase a family ornament for each of my children and their families every year. 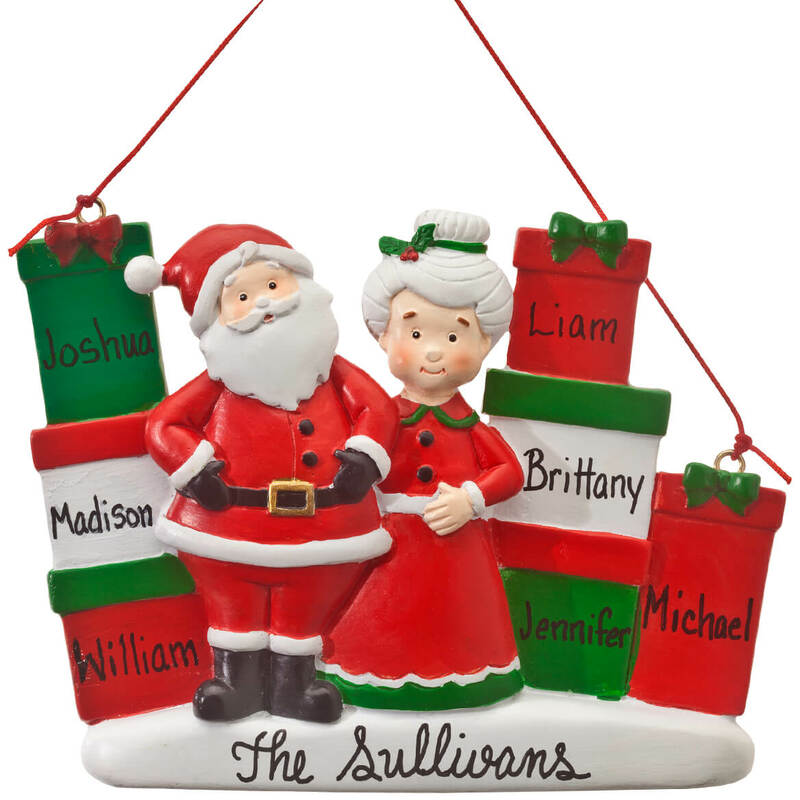 Get my son and his family a personalized ornament every year; running out of choices. Used this ornament for another grandparents one. Placed all the grandchildren's name on a present and was able to put Papa & Nana on the bottom. It will make a very cute present from the grandkids. For great couple I know. 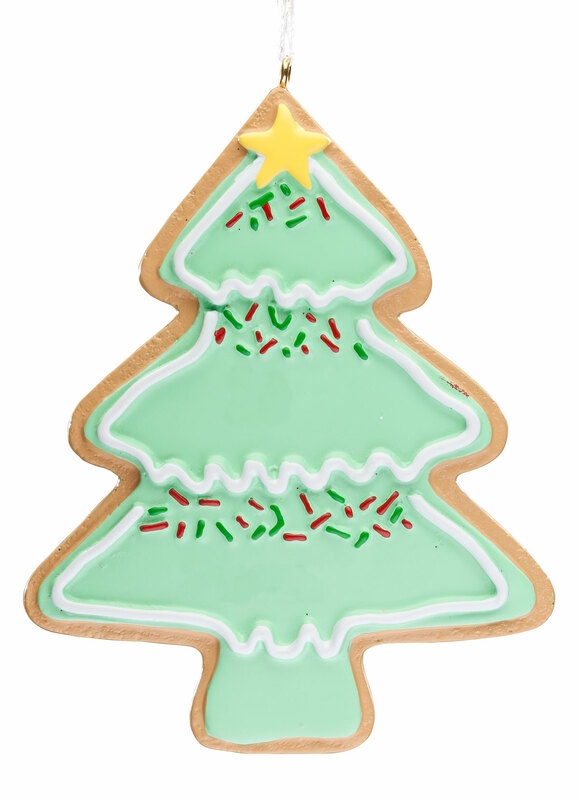 Perfect for our BIG Christmas tree! 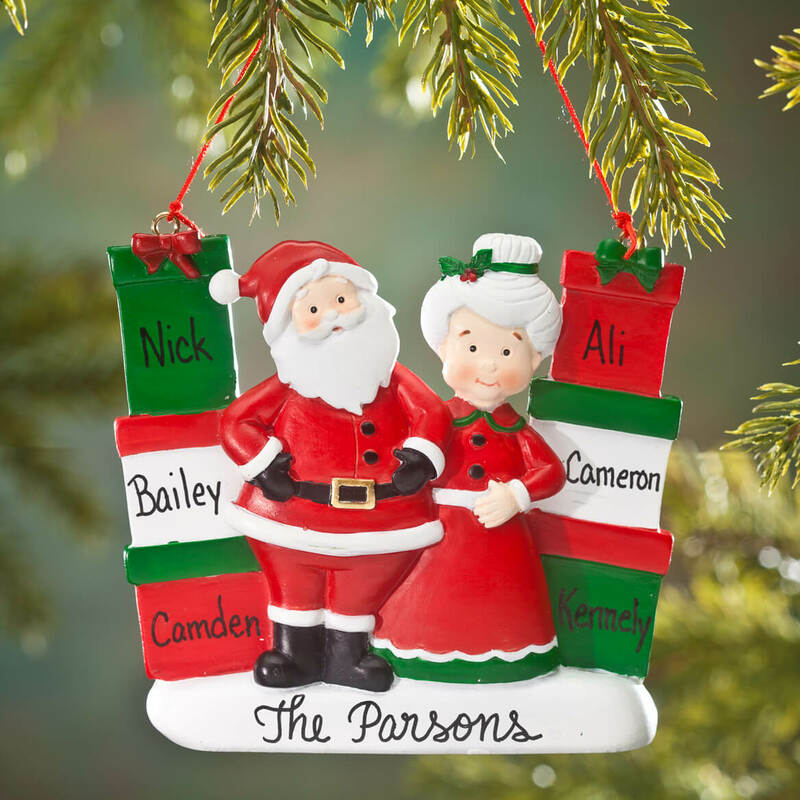 I do the ornaments with pictures for grandchildren, nice to have a personalized ornament for the grandparents and especially in the right colors. A nice ornament to include our new puppy this Christmas. 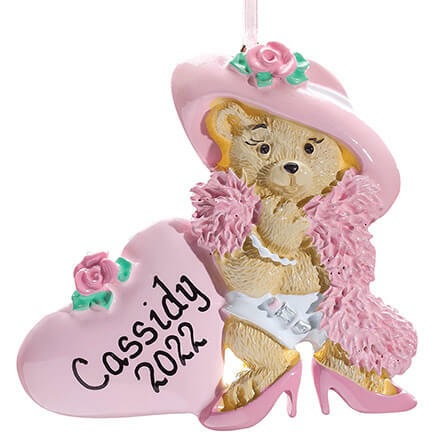 Most personalized ornaments represent people, this one did not. So I thought it was perfect! Santa will, after all, be bringing our puppy gifts this year!!! 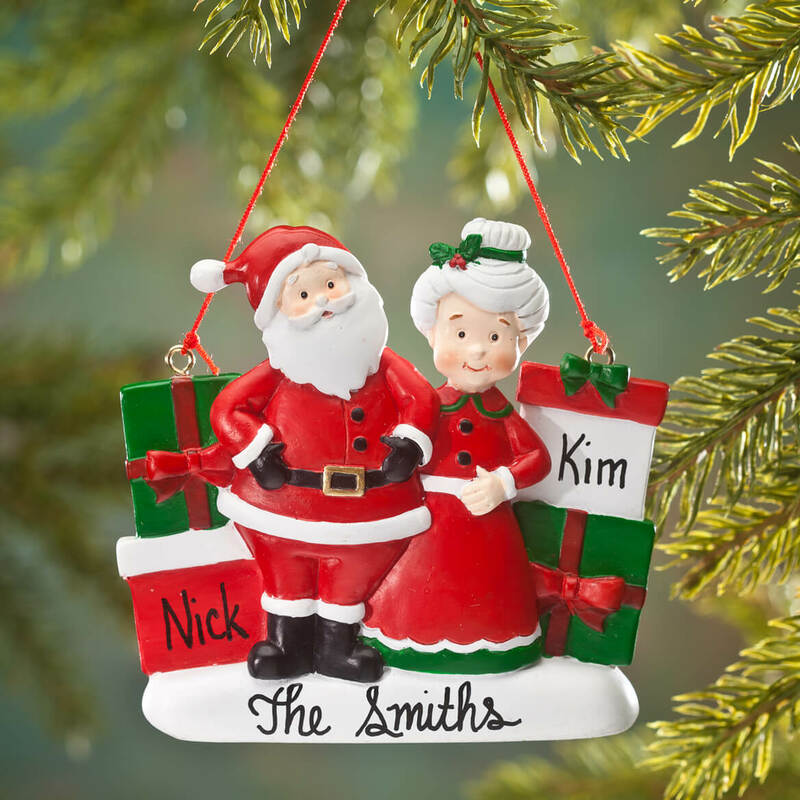 My Daughter just was married this year and this is a nice first Christmas married ornament, plus it was on sale. 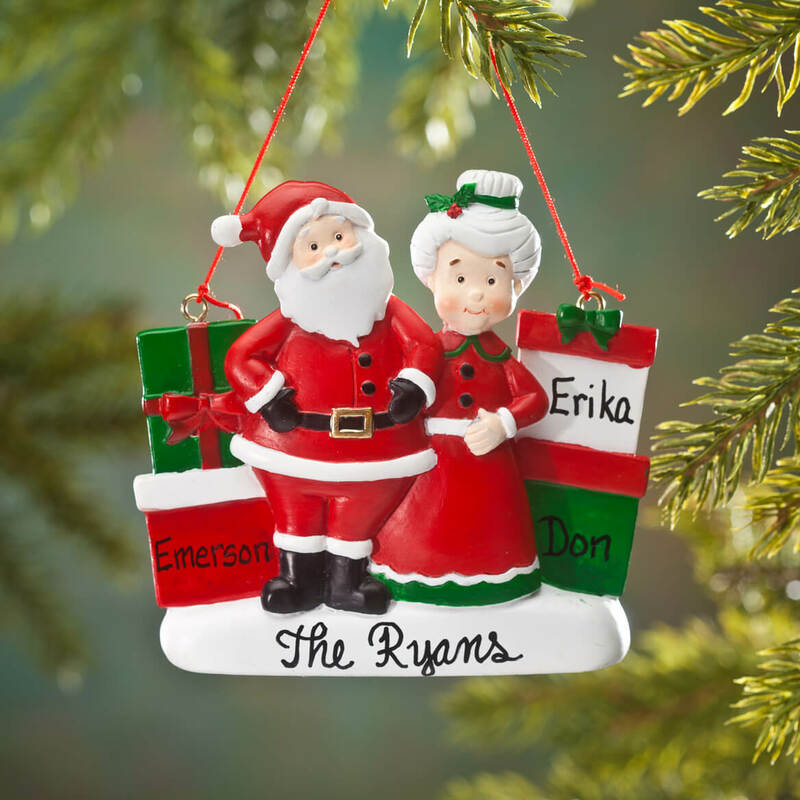 I have a friend who loves anything with Santa Claus and she will love this ornament. I have four different families I want to buy for. who doesn't like M/M Santa and gifts? This ornament expressed my love and closeness of my family and it allowed for the addition of my grandson. Each year I buy a different "family" ornament for each of my kids' families. This is the one I chose for this year. Every year we get ornaments for all of our family. How can we request a specific order for the names? This is very important. It says personalized, yet there is no way to do so, why? BEST ANSWER: Thank you for your question. Use the drop down list to choose personalized and select how many members are in the family. So personalized family of two, will be for two people. We hope this information will be of help to you. What order are names listed - down or across? BEST ANSWER: Thank you for your question. There is no order for the names. We can not guarantee where the names will be placed. We hope this information will be of help to you.